Gundog – a new play by Simon Longman, who wrote the woozily wonderful Sparks – is set in “a farm in the middle of nowhere” and explores grief and isolation. It opens at the Royal Court’s Jerwood Theatre Upstairs in a production directed by Vicky Featherstone and designed by Chloe Lamford. Rebecca Atkinson-Lord directs Chisa Hutchinson’s darkly comic play about the relationship between a woman who wants to end her life and her nurse. It opens in Liverpool this week ahead of a run at London’s Albany Theatre. 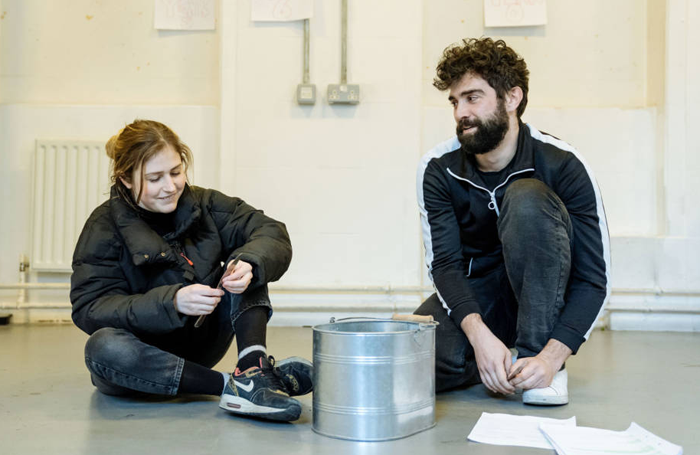 Breach, the innovative company behind Edinburgh fringe hit The Beanfield and the utterly brilliant Tank, return with a new show, The Drill, that uses safety drills and emergency response training methodology to explore the future and how to survive it. It runs from February 5-17. Daniella Isaacs’ superb solo show Hear Me Raw, an insightful, funny, part- autobiographical exploration of the cult of ‘clean eating’ and the damage it can do, is at London’s Arcola Theatre from February 12-24. Gruff Theatre’s new immersive, interactive theatre production It Made Me Consider Me takes place inside ND2, the New Diorama’s rehearsal space. It opens on February 6. ENO revive Iolanthe, the first Gilbert and Sullivan operetta they ever presented back in 1962, in a new production directed by Cal McCrystal, the physical theatre director behind the comic business in One Man Two Guvnors, and clown companies like The Mighty Boosh, Spymonkey and Cirque du Soleil. It opens February 13, with a cast led by Andrew Shore, Samantha Price and Barnaby Rea. When Alan Ayckbourn’s The Divide premiered at the Edinburgh International Festival last year, it was a lengthy two-parter that did not meet with widespread critical approval. But it has now been re-written and re-staged in one part only, opening on February 7. It will be interesting to see what the critical reaction is now. While Network continues to be a sell-out hit at the National (and whose star Bryan Cranston just won the Critics’ Circle Theatre Award for Best Actor), a new play called Mad as Hell reveals the story behind the film’s original star Peter Finch, opening on February 9. Mark Goucher, the West End producer newly installed as chief executive at Cheltenham’s Everyman Theatre, launches his first new production there, a revival of Ronald Harwood’s play Quartet that he will then tour the UK with fellow producer David Ian. Paul Nicholas, Sue Holderness and Jeff Rawle star and it runs in Cheltenham from February 8-17. A stellar cast of West End singers that include Oliver Tompsett, Danielle Hope, Cassidy Janson, Alexia Khadime, Matthew Croke and Karen Mav appear in the latest West End Live Lounge, taking place on February 11. China Plate Theatre co-director Paul Warwick asks: What can be done to keep mid-scale touring alive?